Tensions between the United States and China are increasing over trade issues. On Wednesday, China announced plans to increase taxes on $50 billion of U.S. goods. The Chinese measures would increase tariffs by 25 percent on 106 products, such as soybeans, airplanes and cars. The Associated Press said the list includes the biggest U.S. exports to China. 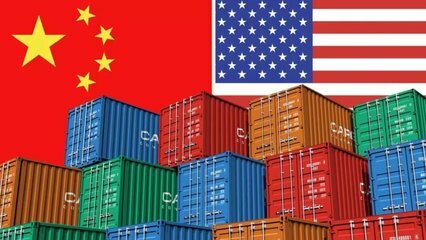 China's announcement answers U.S. President Donald Trump's plan to increase tariffs on $50 billion worth of Chinese goods. The U.S. list, released Tuesday, strikes at China's high-technology industries. Chinese officials did not say when the tariff increase on U.S. imports would take effect. They say the timing will depend on what the Trump administration does. On the U.S. side, the tensions between the two countries is tied to Trump's promise to reduce a trade deficit with China. Last year, the deficit was more than $375 billion. On the Chinese side, the ruling Communist Party is trying to develop the country's economy, especially high-tech companies. But foreign business people say Chinese rules limit competition and sometimes require them to help Chinese businesses improve their products. Chinese officials say their government does not discriminate against foreign businesses. And the deputy commerce minister told reporters that China had not planned to increase taxes on U.S. imports. It must be said, we have been forced into taking this action, he said. Many officials in both countries are urging the two sides to negotiate. However, a small but active group of people in China are already calling for a boycott of U.S. products. Internet commenters have noted the power of Chinese citizens. Last year, Chinese consumers informally boycotted South Korean goods after South Korea accepted a U.S.-made anti-missile system. Their boycott was estimated to have reduced South Korea's economic growth last year by .4 percentage points. As yet, observers do not see any signs of an organized campaign in China to reject U.S. goods. But they noted the danger of creating a negative image around American products. Wine expert Jim Boyce lives in Beijing and writes a blog called Grapewallofchina. He said additional taxes on wine could have an effect, but that cost was not the only issue of concern. Are we going to see people in China worried about drinking American wine because of politics? he said. That's the bigger problem. Experts also noted that, at least for the moment, most Americans seem willing to give the new president time for his policies to take effect. Because of this, no special WCF binding is required to use them. You should not discriminate against minorities. 5.They say the timing will depend on what the Trump administration does. My wife and daughter depend on me for their living. I depend on my pen for a living. 6.The Chinese measures would increase tariffs by 25 percent on 106 products, such as soybeans, airplanes and cars. But what if you have a lot of audio material to listen to, such as audio books or podcasts? We have better use for our money such as saving or sharing it, and because I want my children to care about their impact on the environment, the economic state of our country and our humanity.